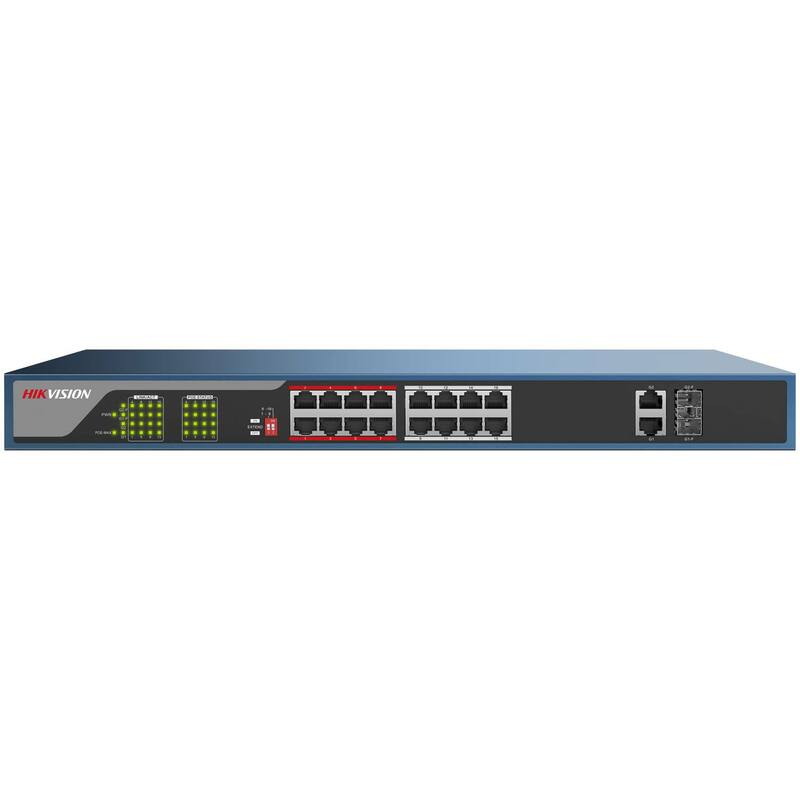 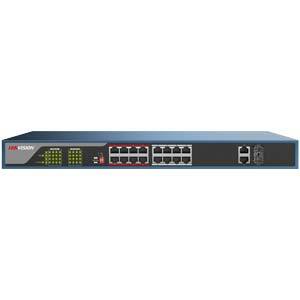 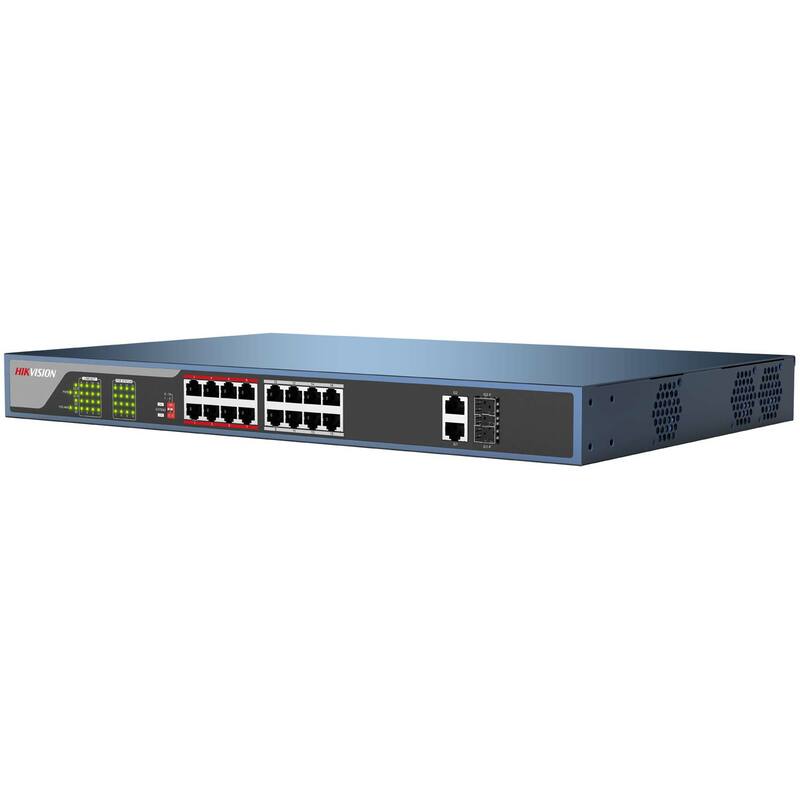 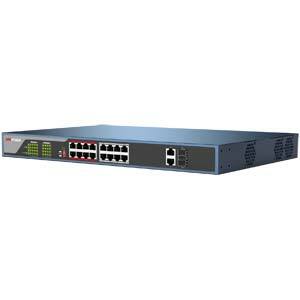 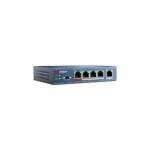 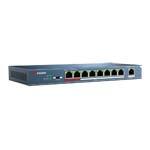 DS-3E0318P-E is an 16 10/100Mbps ports unmanaged switch that requires no configuration and provides 16 PoE (Power over Ethernet) ports. 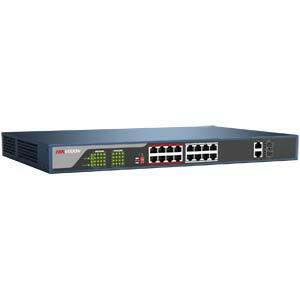 It can automatically detect and supply power with all IEEE 802.3af/at compliant Powered Devices (PDs). 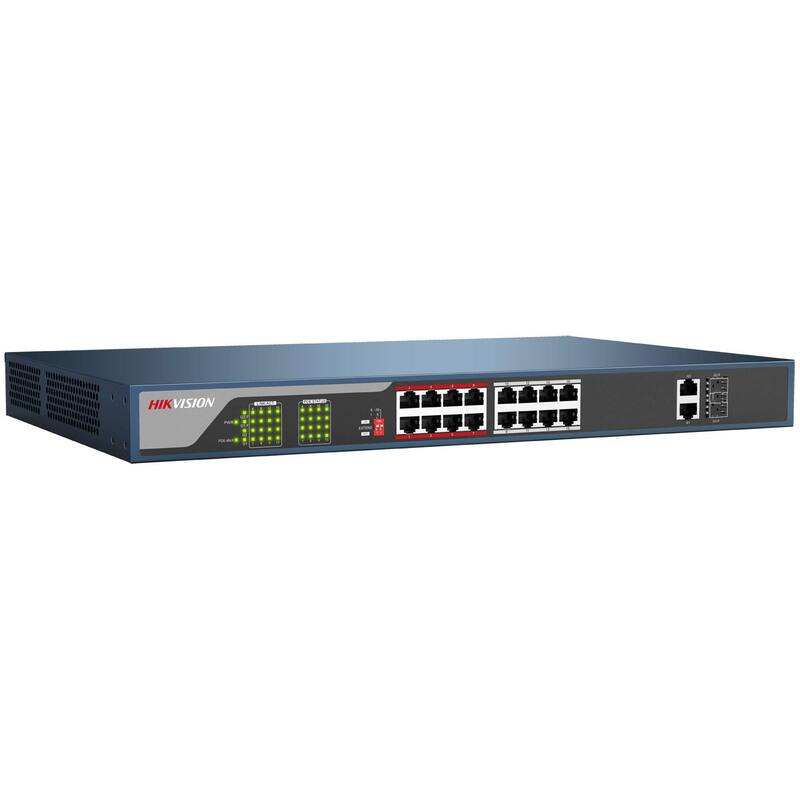 In this situation, the electrical power is transmitted along with data in one single cable allowing you to expand your network to where there are no power lines or outlets, where you wish to fix devices such as IP Cameras or IP Phones, etc.